Hearing of the House Intelligence Committee - Opening Remarks of Rep. Schiff, Hearing on "Putin's Playbook: The Kremlin's Use of Oligarchs, Money and Intelligence in 2016 and Beyond." 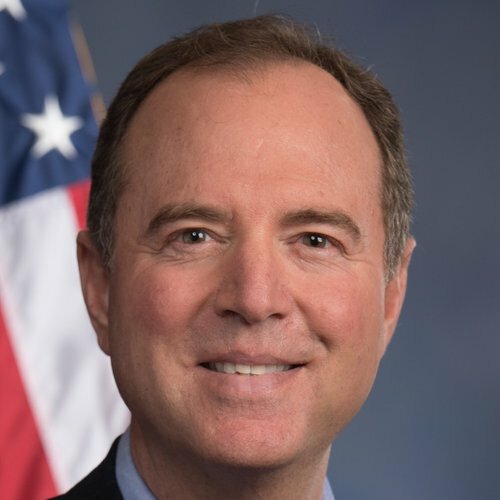 Adam Schiff voted Yea (Passage) - H Con Res 24 - Expressing the sense of Congress that the report of Special Counsel Mueller should be made available to the public and to Congress. Adam Schiff Co-sponsored - H Con Res 24 - Expressing the sense of Congress that the report of Special Counsel Mueller should be made available to the public and to Congress.